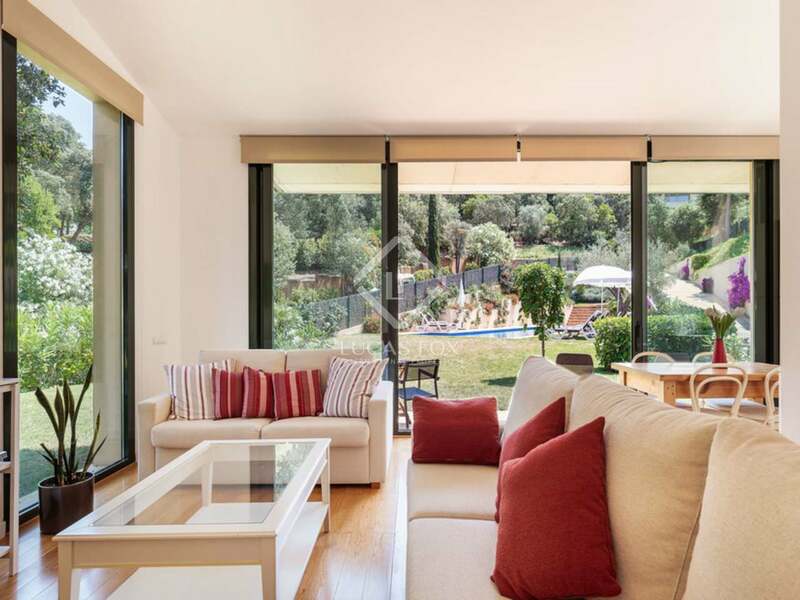 On a sunny east-facing plot in the exclusive Ses Falugues residential estate, we find this fabulous villa for sale. 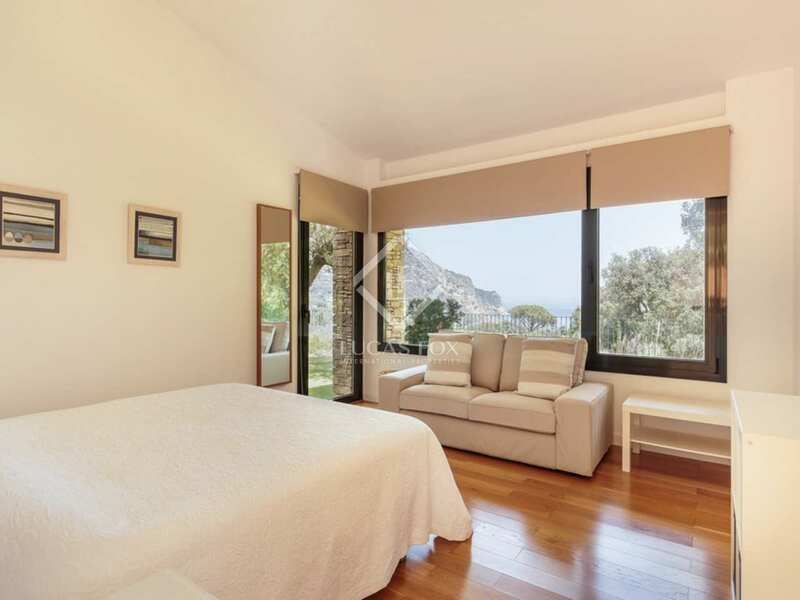 This development has seen some of Begur's largest residential transactions in recent years and is only 900m from the stunning Aiguablava beach and 5km from the centre of the charming town of Begur. 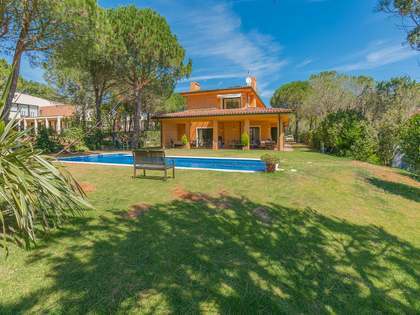 The house was built in 2012/13 and boasts a lovely lawn garden with Mediterranean plants and several mature olive trees. 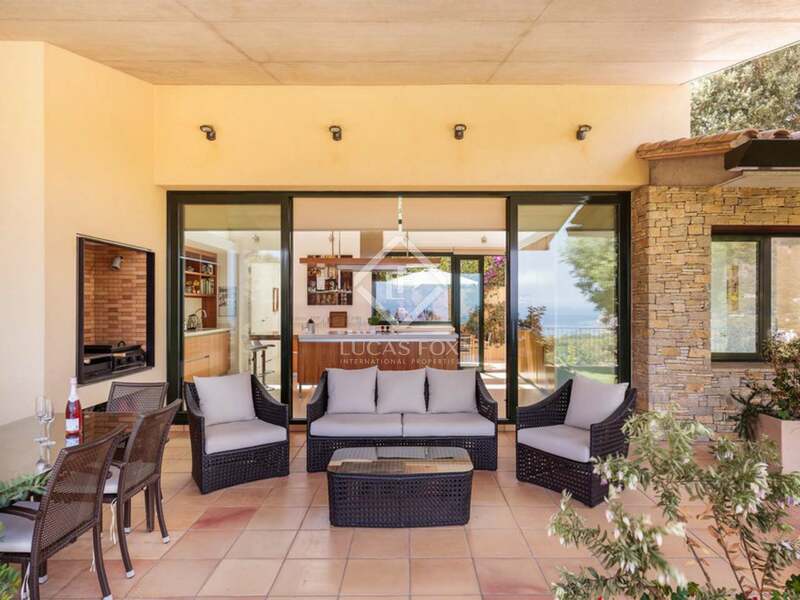 There is also a large swimming pool, various shaded porches and terraces including a large covered terrace to the front of the property with purpose built barbecue and a peaceful interior patio garden with a water feature. 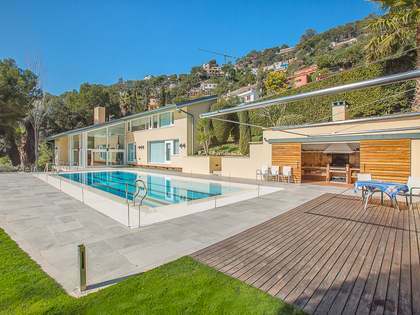 The villa enjoys an easterly orientation with the large swimming pool situated to the south of the main house, affording it day-long sunshine. 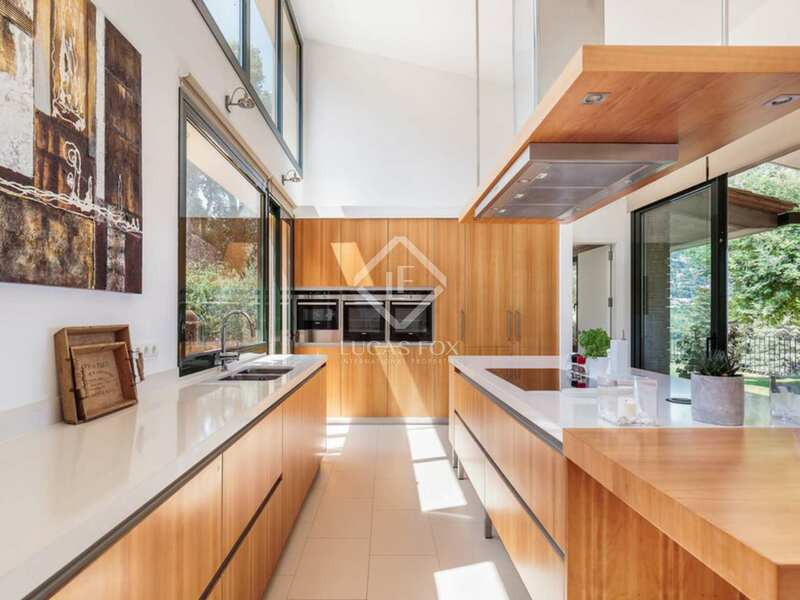 This villa is constructed over one level with high ceilings, spacious and light living areas and a magnificent luxury kitchen with central work island and high-end appliances. 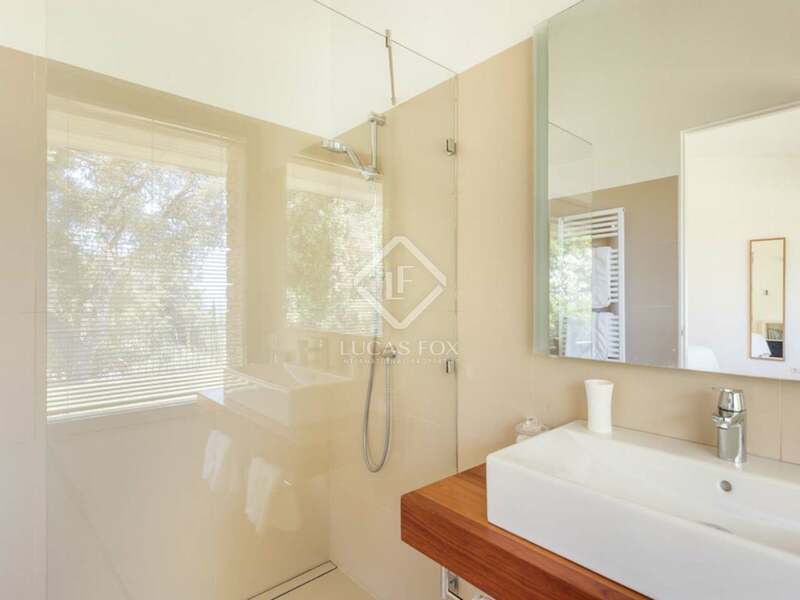 The property boasts 5 generous sized bedrooms and en-suite bathrooms, including a guest apartment which can be shut off from the main house. 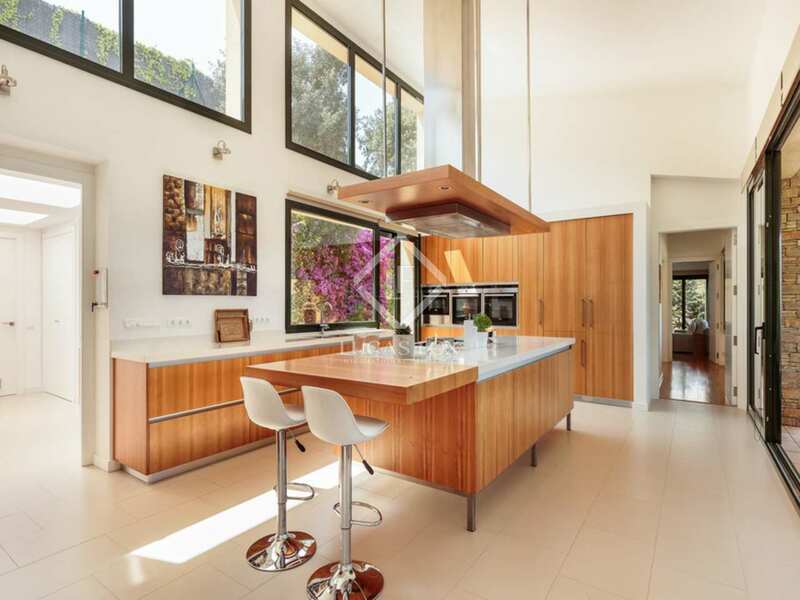 The interior has clean lines and a contemporary feel whilst the main facade is attractively dressed in Begur stone. 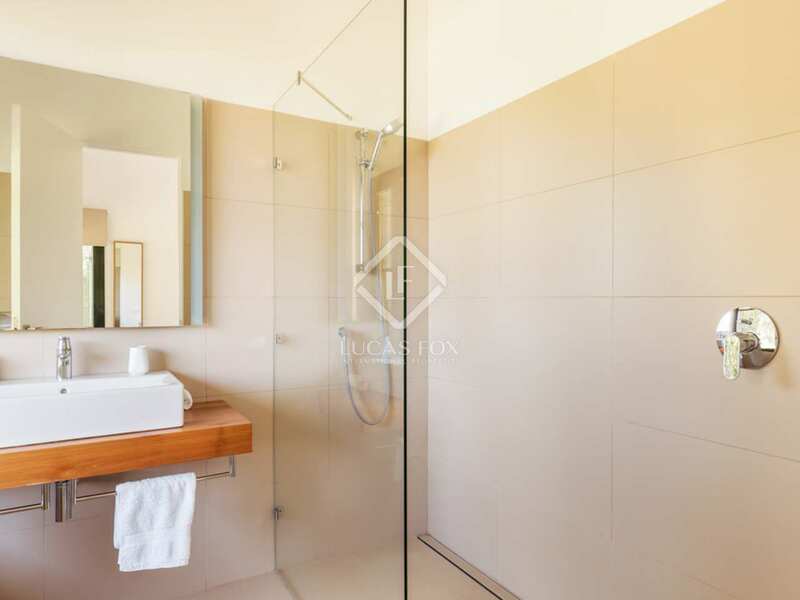 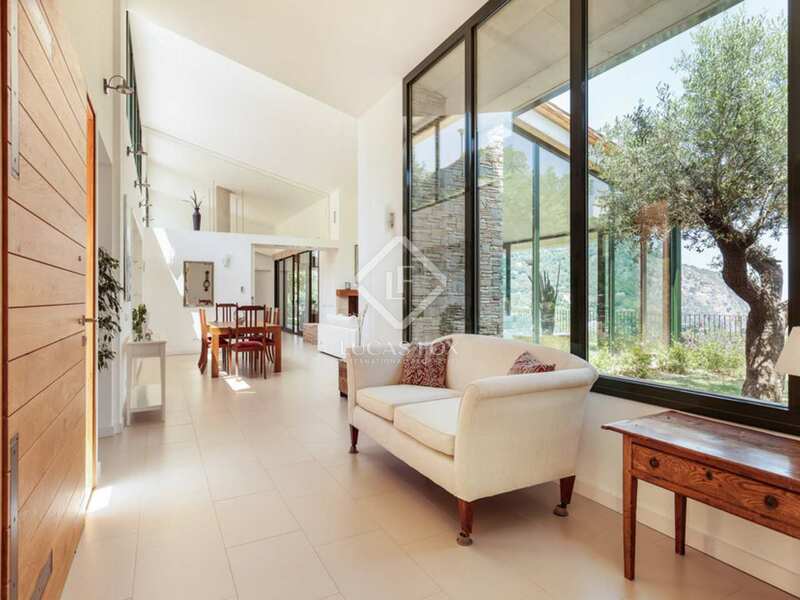 The property has been designed with low energy consumption, hot and cold air conditioning and underfloor heating. A beautifully appointed home with a cleverly defined distribution. 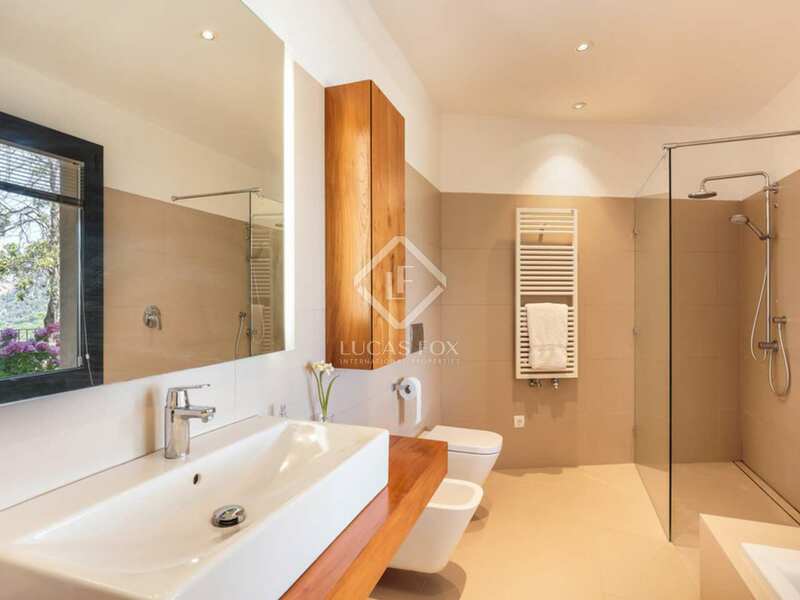 Constructed with great attention to detail and finished with high quality materials. 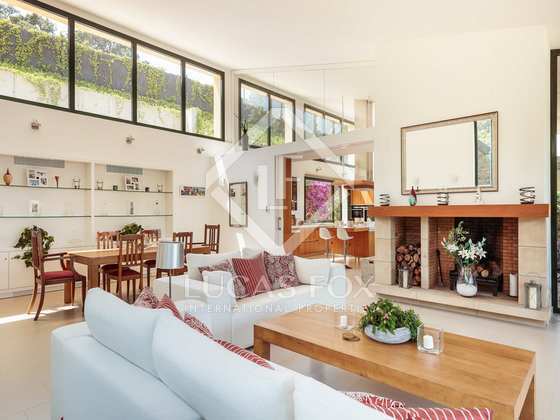 Perfect for large families looking for a spacious house and garden where they may enjoy privacy and tranquillity. 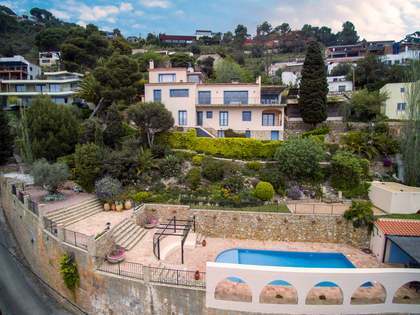 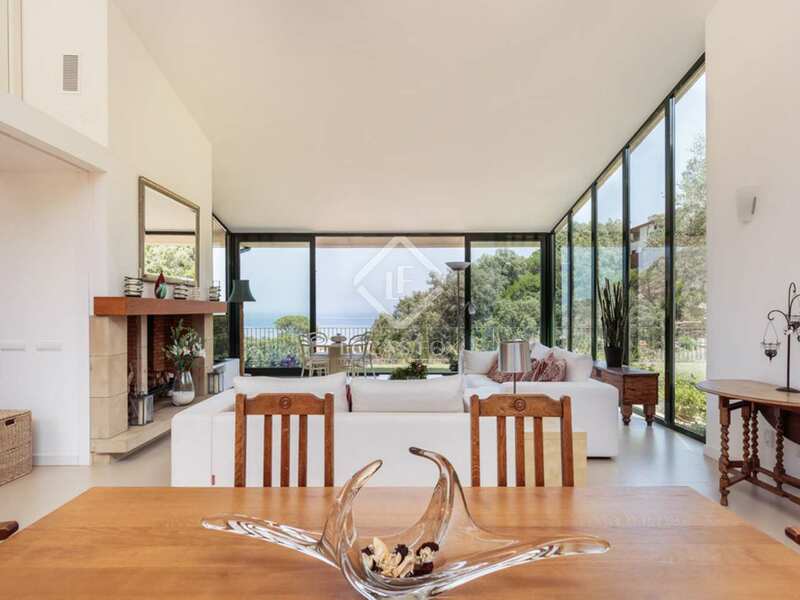 The property is in the exclusive Ses Falugues residential estate - a development that has seen some of the Begur area's largest residential transactions in recent years. 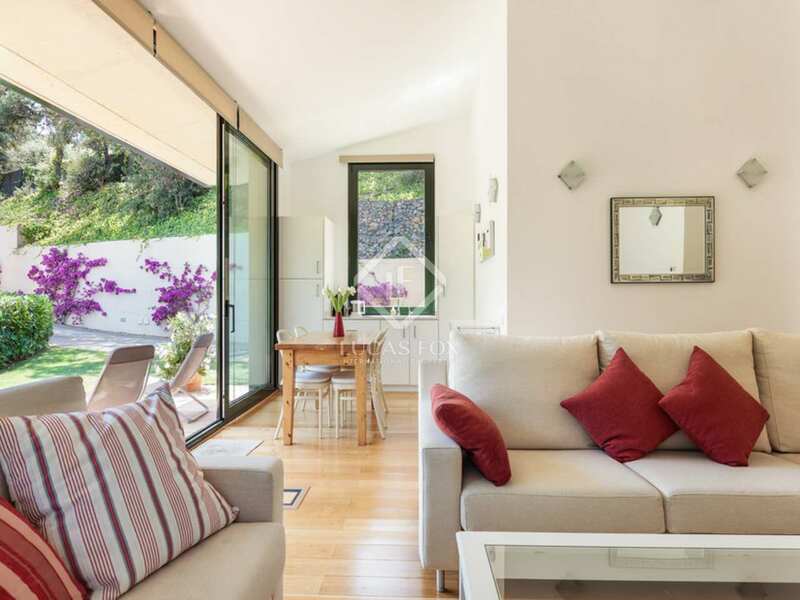 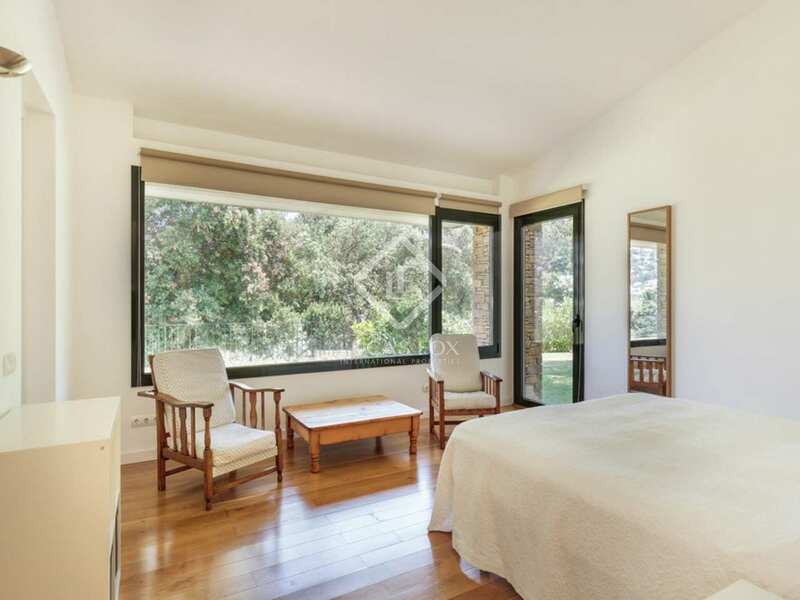 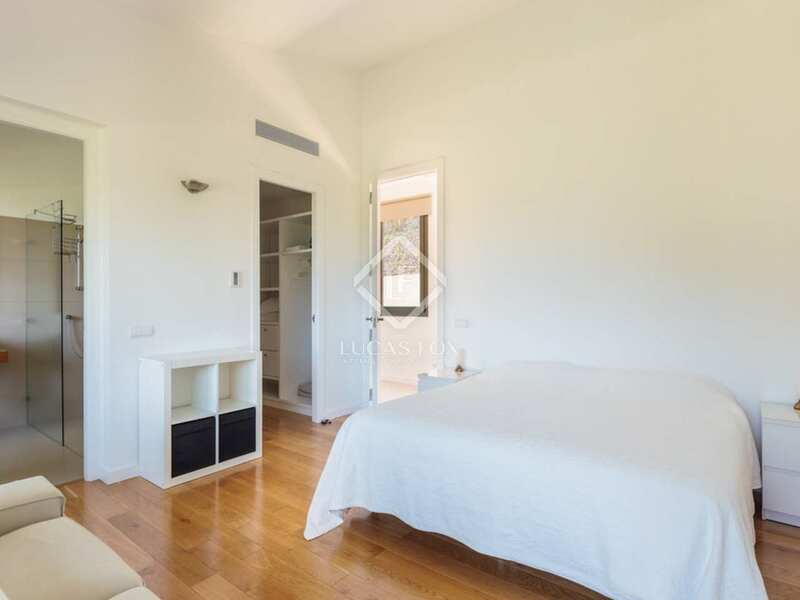 The property is only 900m from the stunning Aiguablava beach with its lovely beachside restaurants, 5km from the centre of the charming town of Begur, 60km from Girona city and its international airport and 140km from downtown Barcelona city.